Welcome to the second part of our Tour de Tetrazoles. In Part I, we saw that tetrazoles, particularly 5-substituted versions, are often made from nitriles and an azide source. Toxic and explosive hydrazoic acid can be formed in this chemistry, but we saw that there are ways to minimize its production. Now let’s take a look at another general approach to tetrazoles, namely the concerted electrocyclic ring-closure of azidoazomethines. This chemistry will allow us to access a variety of tetrazoles, including fused-bicyclic versions, often under azide-free (and hydrazoic acid-free) conditions. The position of the equilibrium depends on the nature of the substituents: electron-withdrawing groups on the azomethine nitrogen favor the open form, whereas hydrogen and normal organic substituents favor the tetrazole (leading reference and theoretical studies). Fascinating, but there’s more: This equilibrium is an excellent entry point for tetrazole synthesis. Anything you can do to make the azidoazomethine will, with the right substituents, lead to the tetrazole. Notice that the amidrazone method doesn’t require sodium azide or its equivalents, prompting some to call this an “azide-free” method. A word of caution, though: It’s conceivable that the azidoazomethine could eliminate azide, so hydrazoic acid may still be lurking. Use caution. 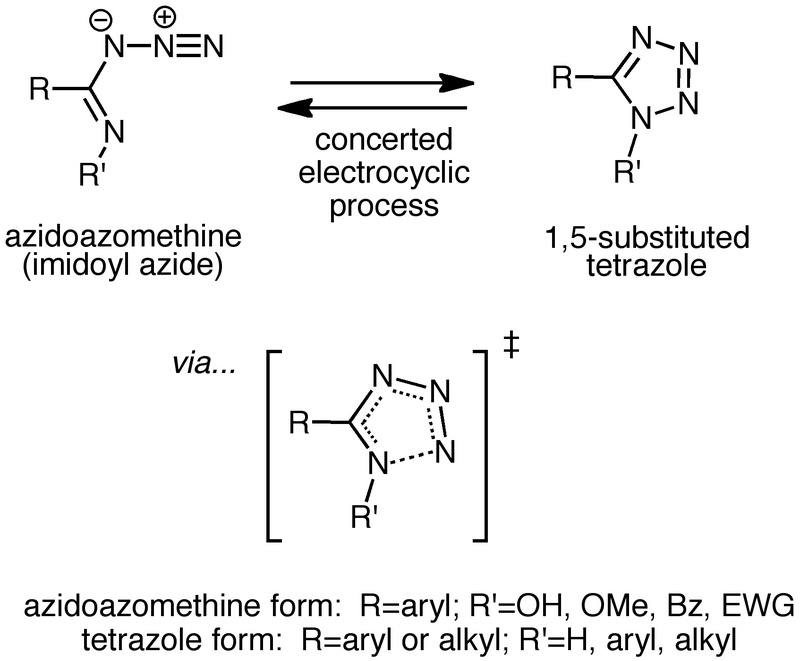 John Duncia at du Pont reported a nice way to access azidoazomethines (and thus tetrazoles) from amides and TMSN3 using diethyl azodicarboxylate and triphenylphosphine. 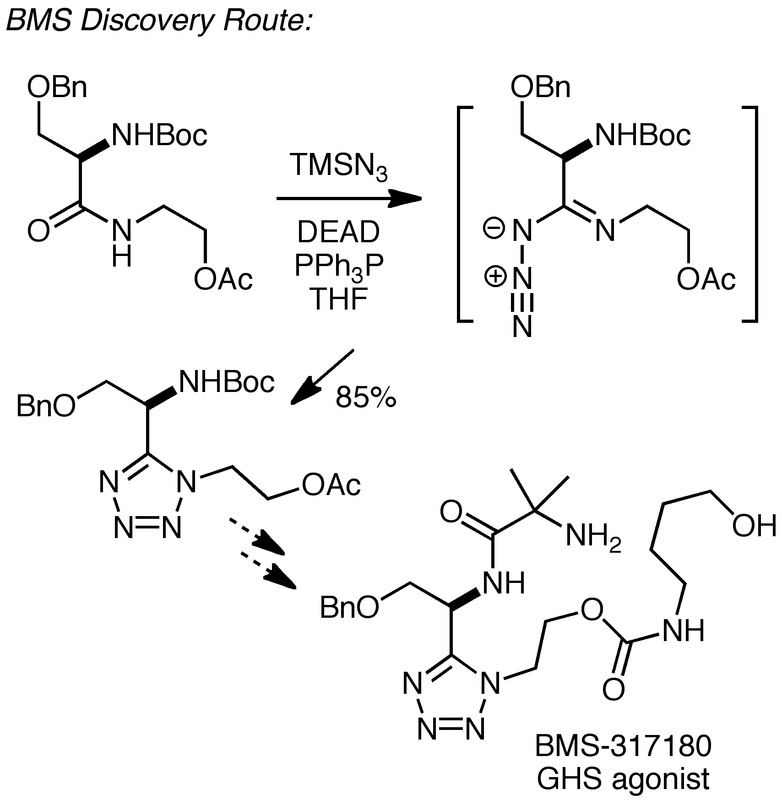 Shown below is a more recent application of Duncia’s method by discovery chemists Li, Tino, and co-workers at Bristol-Myers Squibb, who synthesized BMS-317180, a GHS agonist. The Process R&D group at BMS later felt that the issues of high exothermicity, TMSN3 safety, and PPh3PO removal warranted another approach to the tetrazole for scale-up. 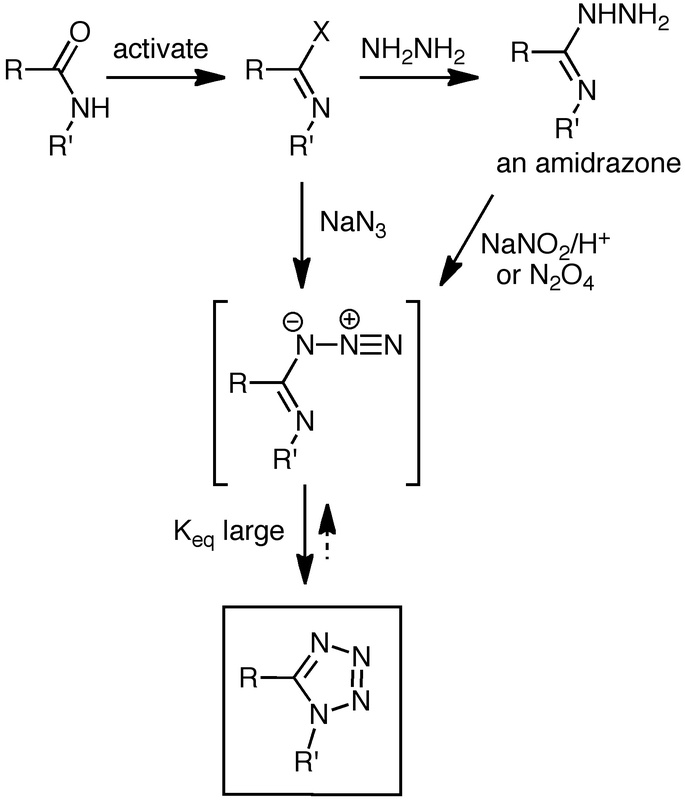 The BMS process group ultimately decided to avoid azide chemistry altogether by using amidrazone diazotization chemistry. Hydrazinolysis of the oxazoline shown below gave an amidrazone that was then diazotized to give the azidoazomethine (not shown) and thus the tetrazole on a 40 kg scale. Superb. Azidoazomethines where the azomethine (imine) is part of a ring, e.g. 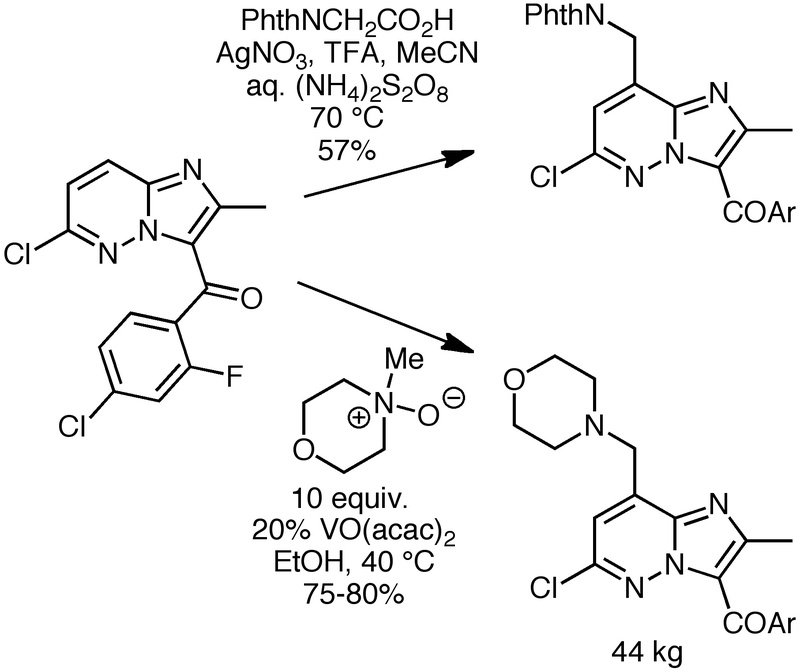 2-azidopyridines and 4-azidopyrimidines, undergo electrocyclization to provide fused bicyclic tetrazoles. Historically, this is where the azidoazomethine-tetrazole chemistry began, with work by Bülow (1909; azidopyrimidines), Benson (1954, azidopyrimidines), Boyer (1959, azidopyridines), and McKee (1962, azidopyrimidines). The following example is from McKee’s lab at UNC and Montgomery’s lab at SRI (see also here). 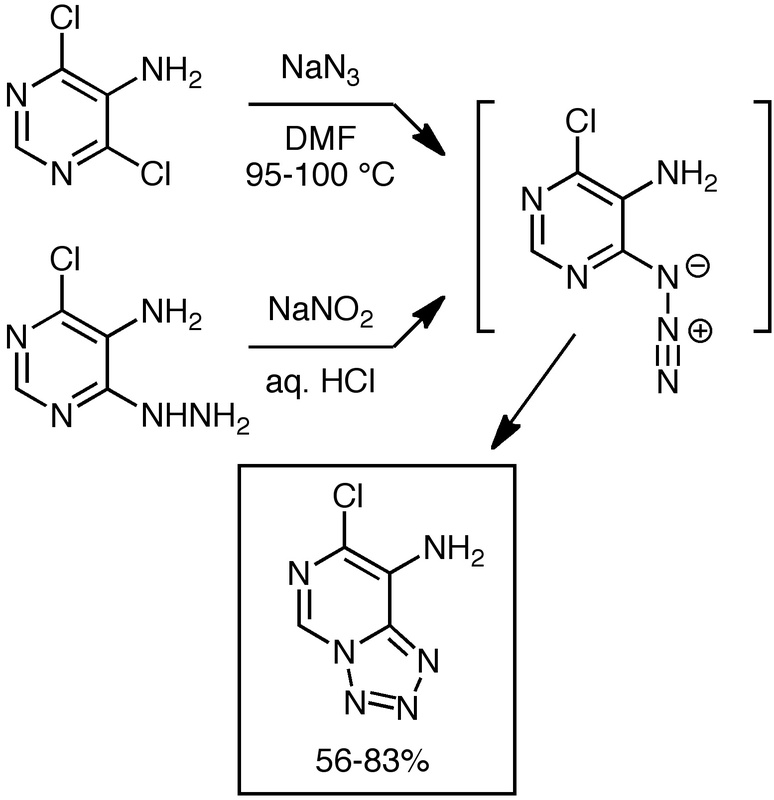 Both the azide and diazotization methods were used successfully. Finally, remember that the position of the azidoazomethine-tetrazole equilibrium depends on the electron density around the tetrazole? 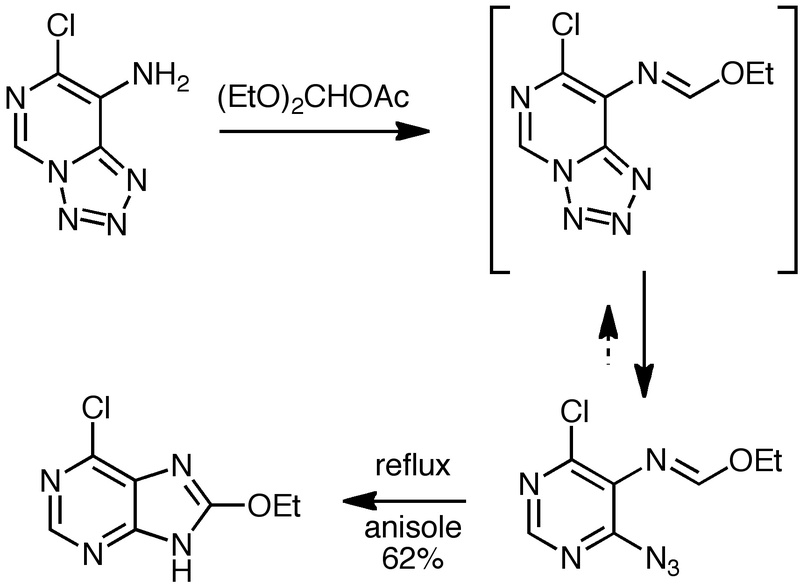 McKee used that knowledge to develop a new purine synthesis: Converting the above amine (electron donor) to the imidate shown below (electron acceptor) caused the azidoazomethine-tetrazole equilibrium to shift to favor the latter, which upon heating gave a purine. There’s some great stuff in the old literature. McKee, by the way, was the professor that got me interested in heterocyclic chemistry… see an earlier post for that story. I hope you’ve enjoyed this Tour de Tetrazoles. I know there are some tetrazole experts out there, so please share some of your knowledge in the Comments. Azaphiles, unite! Azaphobes, run! It’s time to delve into the synthesis of tetrazoles (review) in this two-part post. Whatever you think you know about making these hard-core heterocycles, I’ll wager you’ll still find something interesting here. Are you thinking that all tetrazoles are made with azide chemistry and thus you’ll lose a limb to an explosion? Read on. Full disclosure: I love molecules with several nitrogens in a row. 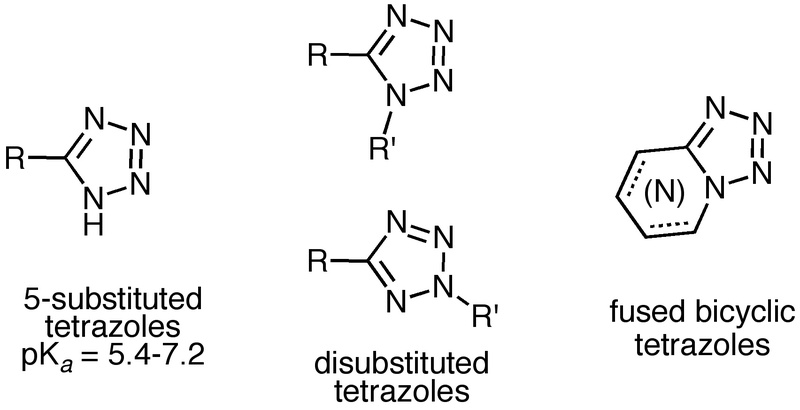 My graduate work involved adding organometallics to azides to produce triazenes and a good deal of my group’s research at the University of Michigan involved azides, triazoles, triazolines, etc. Good times. When considering tetrazoles, most organic chemists will likely think first of 5-substituted tetrazoles, long known to be good carboxylic acid biomimetics/bioisosteres in the drug discovery endeavor, their acidity being much the same as those of carboxylic acids (see Meanwell’s excellent review). But there are other important types of tetrazoles that are nonacidic, e.g., disubstituted tetrazoles and fused bicyclic tetrazoles. In the current post, we’ll consider making 5-substituted tetrazoles using azide chemistry. Online IR studies by the process R&D group at Merck Frosst are instructive in dealing with the dangers of hydrazoic acid. In the next post, we’ll look at the tetrazole-azidoazomethine equilibrium for the synthesis of disubstituted and fused-bicyclic tetrazoles, where we’ll find that one can avoid sodium azide and hydrazoic acid issues entirely. Well, almost entirely. A popular procedure for making 5-substituted tetrazoles is the reaction of sodium azide with a nitrile, often in the presence of an ammonium salt. 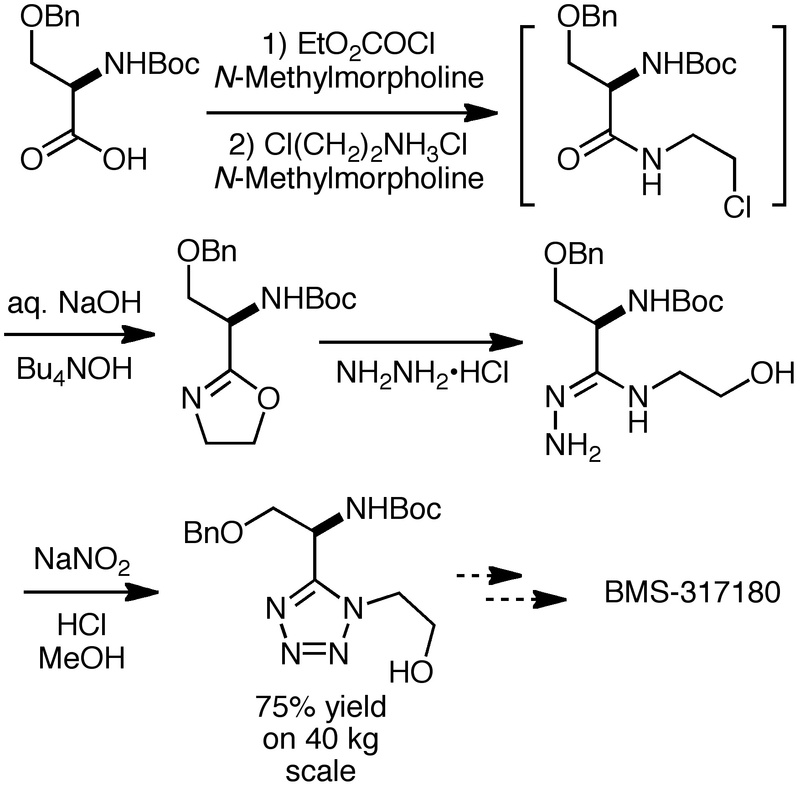 The example shown below is from Organic Syntheses (Novartis Process R&D and Ley’s group at Cambridge), providing the useful enantiocatalyst shown on an 80 mmol scale. The excess sodium azide was destroyed with sodium nitrite and sulfuric acid, which converts hydrazoic acid into nitrogen and nitrous oxide gases. While the above procedure may be popular, any time you use sodium azide you should be thinking, “hydrazoic acid can be generated, it’s explosive and toxic, and I need to take the appropriate safety precautions.” That’s precisely what happened during some recent process R&D work at Merck Frosst on the steroyl-CoA desaturase inhibitor MK-8245. The discovery chemistry route used NaN3/pyridinium chloride as shown below, but the process group felt that the potential for significant amounts of hydrazoic acid generation was too high. Armed with the ability to detect hydrazoic acid in the headspace above the reaction mixture using online IR, the Merck Frosst researchers surveyed alternatives. Sharpless’s zinc bromide procedure, proposed to minimize hydrazoic acid formation by control of the pH, led to a reading of 2000 ppm of HN3 in the headspace, which is below the detonation threshold of 15,000 ppm but was still felt to be undesirable. 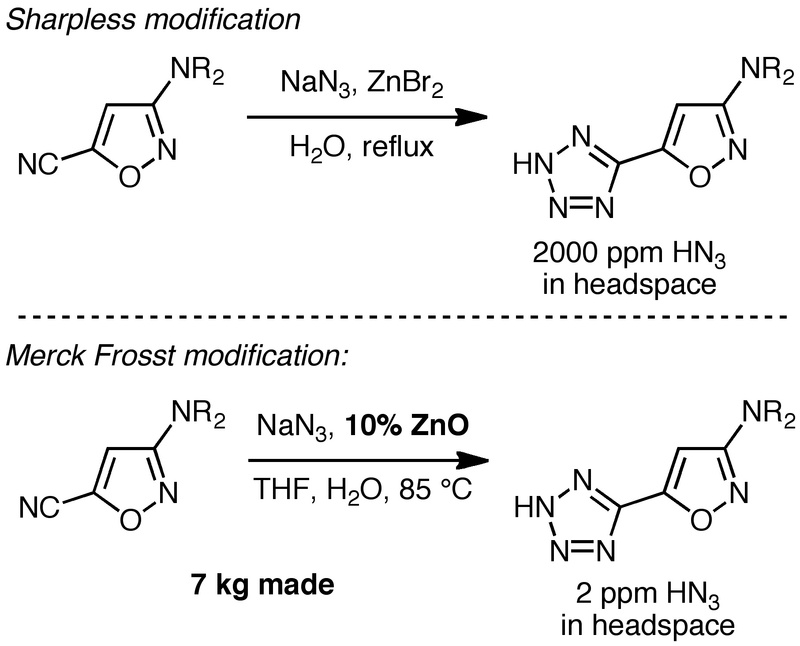 In their own survey of conditions, the Merck Frosst scientists found something quite new and significant: Reaction with sodium azide in the presence of a catalytic amount of zinc oxide in aqueous THF (pH 8) proceeded efficiently, and most notably, with only 2 ppm of HN3 in the headspace! They were able to make 7 kg of the tetrazole in one run in nearly quantitative yield. Nice! I’d be remiss if I didn’t mention Bu3SnN3 and Me3SiN3/Cu(I) as sodium azide surrogates, sometimes used on large scale. 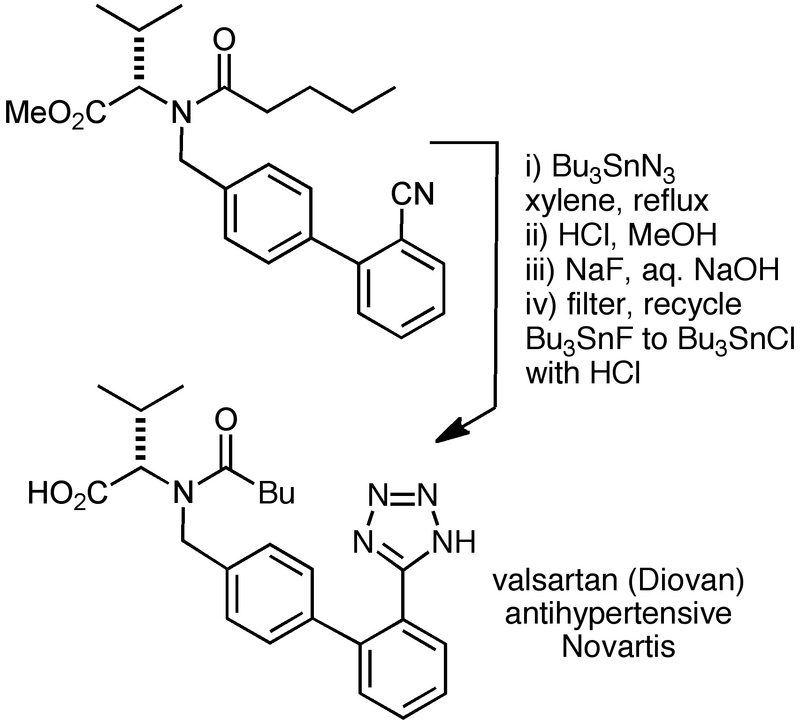 Shown below is an application to valsartan (see here and here) with recycling of the tin by-products. The intermediate stannyl tetrazole and leftover Bu3SnN3 were converted with HCl to Bu3SnCl, which was then converted to the fluoride, which was removed by filtration and recycled to Bu3SnCl. Next: The tetrazole-azidomethine equilibrium and its use in tetrazole synthesis. The aminomethylation of arenes and electron-rich aromatic heterocycles typically involves iminium ion chemistry, i.e., Mannich-type reactions. But when the heterocycle is electron-poor, what then? 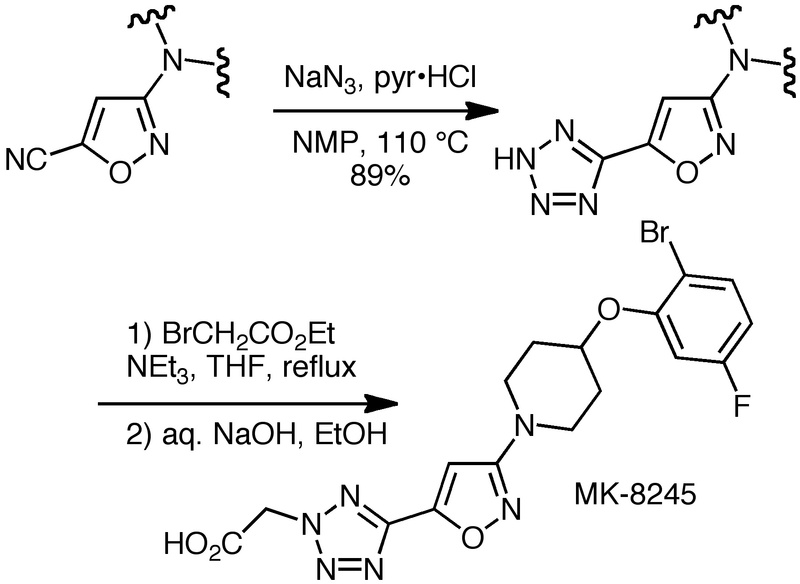 Recent work offers an attractive approach involving nucleophilic α-amino radicals. 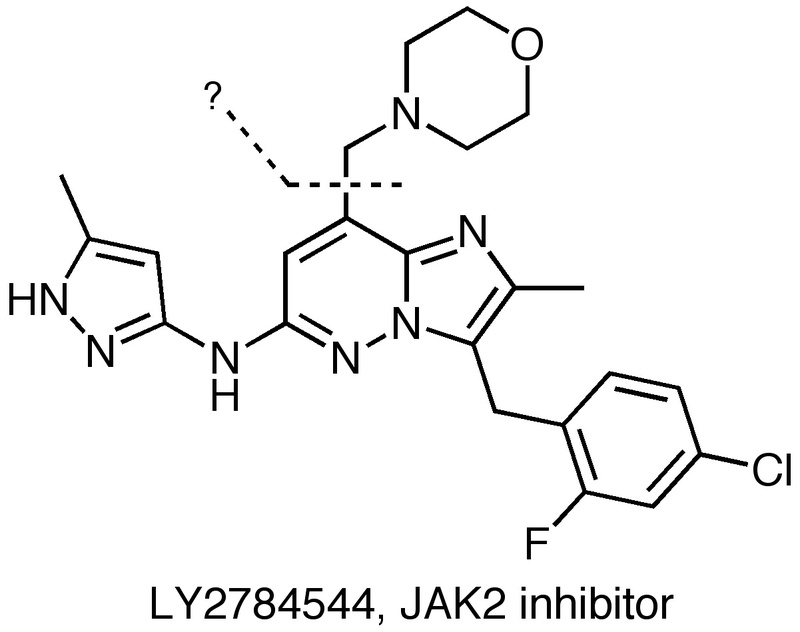 David Mitchell and co-workers at Lilly recently published the scaleup of LY2784544, a JAK2 inhibitor. Their paper is chock-full of interesting chemistry and is highly recommended for a read, but let’s look at just one slice: the installation of the morpholinomethyl group using a radical addition reaction. 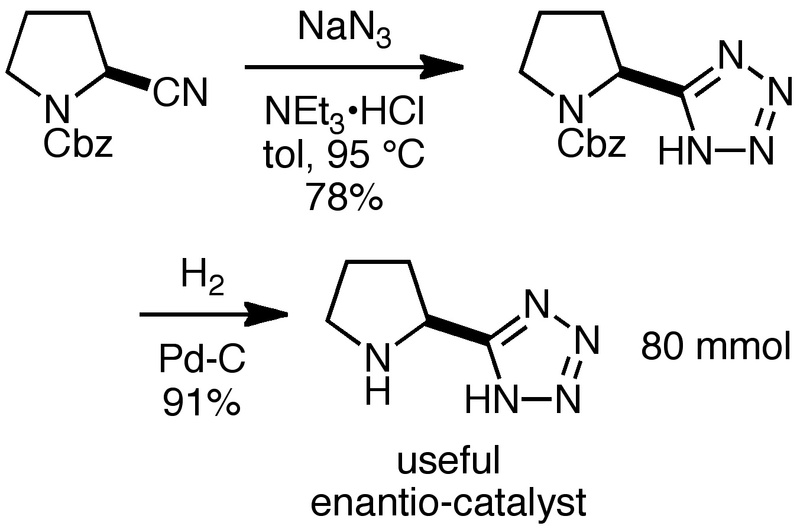 In a first-generation approach, the intermediate shown below was subjected to Minisci’s method for radical alkylation. Phthalimide-protected glycine was used as a source of pthalimidomethyl radicals. Around 3.5 kg of the CH substitution product was obtained, but the route was abandoned due to reproducibility problems, relatively low regioselectivity, insoluble by-products, and the need for large amounts of silver nitrate. In a second-generation route, iminium ion chemistry was explored, but none of the desired material was formed. 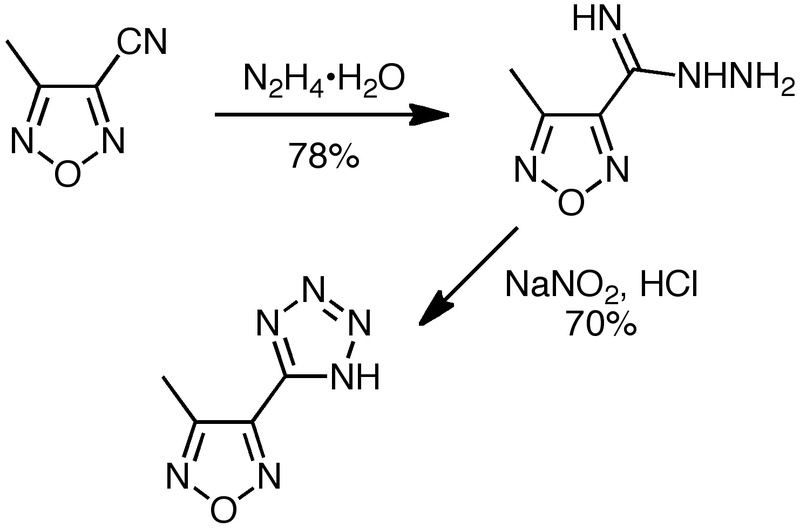 In their survey of iminium ion techniques, however, the Lilly group found one outlier: Hwang and Uang’s method using N-methylmorpholine-N-oxide and VO(acac)2. In the Uang work, electron-rich arenes such as phenols and naphthols were aminomethylated; there were no examples of electron-deficient heterocycles. Nonetheless, after some optimization, the Lilly group was able use the Uang method to produce the desired aminomethylated material shown above in good yield on a 44 kg scale. Mechanistically, Mitchell and co-workers believe the Uang chemistry is substrate-dependent. For electrophilic substrates such as the current imidazopyridazine, the reaction proceeds by a radical mechanism involving the addition of a relatively nucleophilic α-amino radical to the pyridazine ring. With electron-rich systems such as those found in Uang’s work, an iminium ion mechanism is probably operational. Further mechanistic work is underway. For those of you in drug discovery, do you think it would be interesting to carrying out such radical aminomethylations on existing drugs or related compounds? I’m reminded of the recent bevy of direct trifluoromethylation reactions by Baran, MacMillan, and Qing, featured at C&EN and In The Pipeline. Yes, aminomethyl groups and trifluoromethyl groups serve greatly different ends, but direct introduction of the former at rather unreactive sites would seem to be a nice option.